With nearly 200 free software applications, this new update is just jammed full of awesome free tools and tons of insights into how to use them in your courses and classrooms! 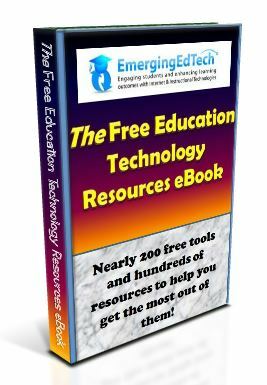 TO GET YOUR COPY Just provide your name and email address in the “Sign Up Now” form on the Home Page and your copy of the EmergingEdTech Free Education Technology Resources eBook will be on its way! Since 2011, Kelly Walsh has been raising awareness of flipped instruction tools and techniques, and introducing the concept to educators across the world, through articles on his popular blog and website EmergingEdTech.com. In presentations at conferences and schools across the U.S., and through online workshops, Walsh has helped many teachers make the transition to flipped instruction. 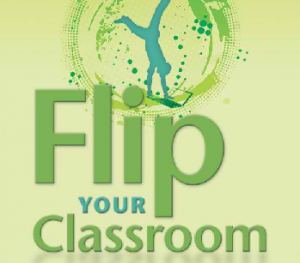 With the Flipped Classroom Workshop in a Book, Walsh makes it easy for educators to discover how the flip works and how teachers have been using it in their classrooms, while they ease into flipped instruction at their own pace. Rich with references, resources, tools, and techniques, this eBook delivers a step-by-step approach to developing your own flipped teaching plan. Eight exercises walk the reader through the development of their own personalized approach for integrating flipped instruction in their classrooms. The exercises are supplemented by web pages where readers can share their insights, questions, and ideas. 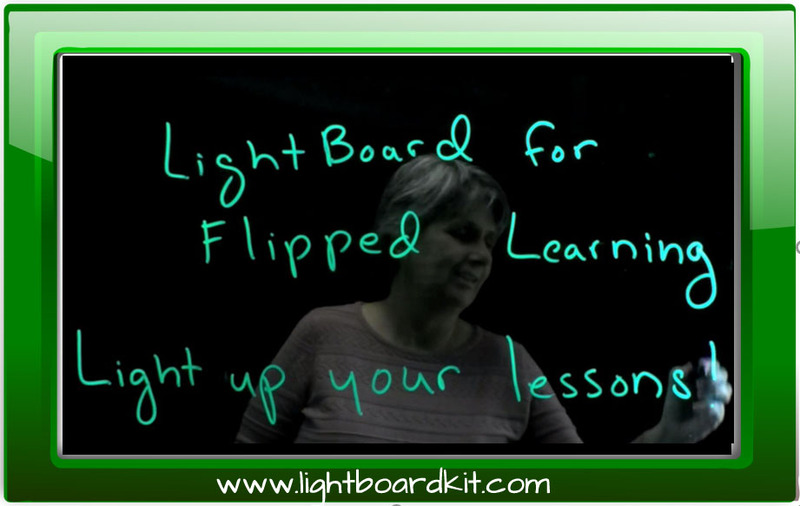 The Flipped Classroom Workshop in a Book is an excellent value and a powerful resource for today’s inspired educator. This eBook is now available in PDF format for the reduced price of just $7.99. Click here to purchase this eBook in PDF format. Note that the iBooks application on the iPad has a great PDF reader built in. This eBook is available in Kindle and iPad format on Amazon.com at the reduced price of just $9.99. Click here to purchase this eBook on Amazon.com. There is a free Kindle reader app available for the iPad – you can buy and read any Kindle book on the iPad! Click here to access to the iPad Kindle Reader app. Pacansky-Brock has written an excellent guide to bringing the teaching paradigm into the current century, in a way that embraces the perspective of students (of all ages) and has been proved effective time and time again. I could hardly envision a better introduction to using emerging technologies in the classroom in a single self-contained resource. While this book recounts a personal journey, it also very well organized, and provides structured guidance. These experienced insights can help guide any educator through the maze of Internet tools, to discover many ways in which they can facilitate a fundamental shift in student engagement and learning. Are you using iPads in your classrooms and thinking about how you and your students can get more out of the experience? In April, Franklin Academy’s David Mahaley released a new eBook providing a structured approach to helping teachers who are using iPads in their classrooms move to a higher level of expertise. 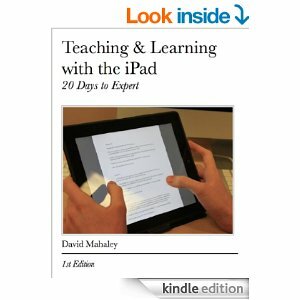 The new book is titled Teaching and Learning With the iPad: 20 Days to Expert and it is available for sale here on Amazon.com for $7.99. This book is a must-read for educators everywhere. This book by John Bergmann and Aaron Sams is loaded with experienced insights, ideas, and lessons learned. An excellent introduction to using the iPad in the classroom. 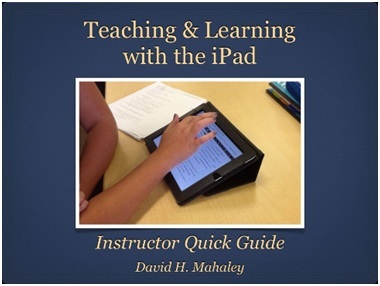 This eBook is a great way for instructors to get started with the iPad. Mahaley bring his extensive hands-on experience, and straightforward writing style, to addressing many of the considerations a teacher new to the iPad would have. The ebook also contains plenty of useful information and insights for teachers who are more experienced with the popular Apple tablet. Hi Lee – Sorry for the issue – I assume the eBook is ending up in your SPAM filter. I have sent it directly via email, but the same may happen again. If you happen to stop back here looking for it, go check your SPAM filter. (I also deleted your phone and email address from your comment so your don’t get spammed). Thanks for subscribing! At least ten times I requested the Free Education Technology Resources eBook on your home page. Everything was done as you requested. But I did not receive confirmation for the book. Since it appears to be of great value, I am taking this step to make the request again through the email. This is greate may God bless you for enlighting the world through educational technology. I am a Masters student in the same field currently carrying out my research.